Click the "4-85 Answer eTool (CPM)" link below. 1. 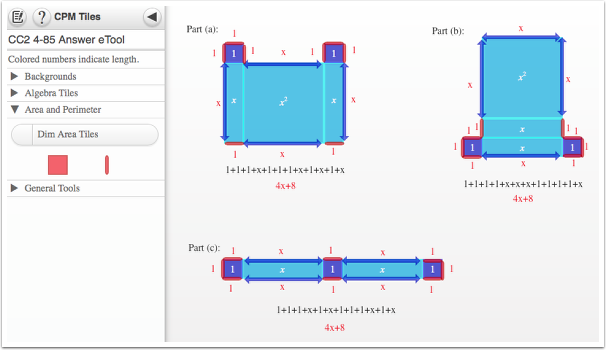 The tool shows the perimeter of each figure.